Jessie Rix was simply looking for a running buddy when she signed up to volunteer as a guide for disabled runners. Instead, Rix, an avid runner, fell in love. Rix, 28, was assigned to Anthony Butler, who lost his vision 10 years ago when he was the victim of a shooting. 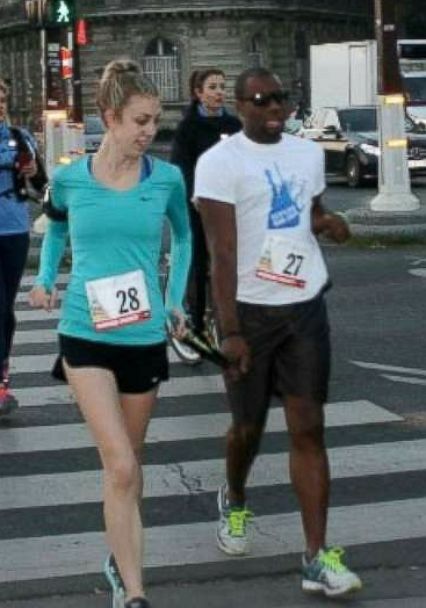 Jessie Rix and Anthony Butler, center, run a race together. Butler turned to running as an outlet. He was matched with Rix by Achilles International, a non-profit organization that partners able-bodied volunteers with disabled runners. Butler and Rix became fast friends as they learned how to keep pace with each other while attached to the tether they use to stay connected on runs. 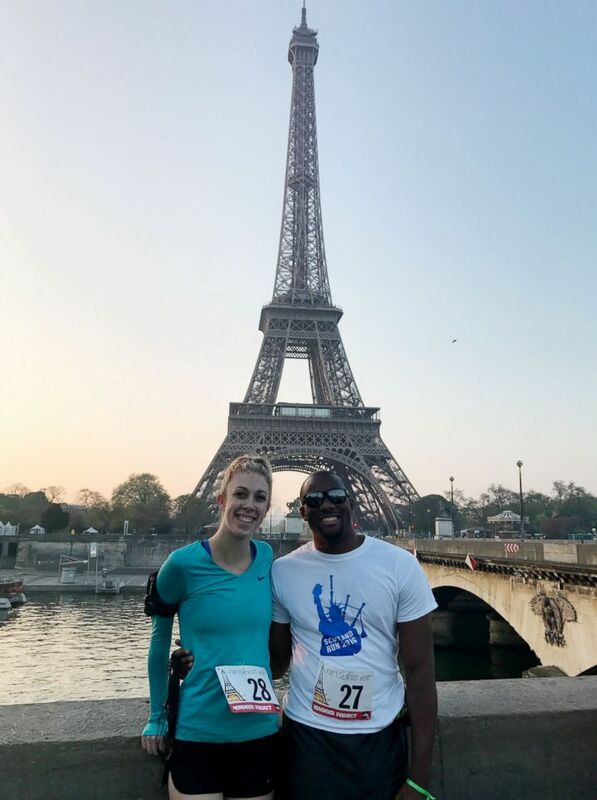 Jessie Rix and Anthony Butler, who fell in love through running, pose together. For Rix, there was an immediate connection. Over the past two years, Rix and Butler have completed four marathons together around the world. Jessie Rix and Anthony Butler pose together in front of the Eiffel Tower in Paris. This Sunday, they will run the New York City Marathon in their hometown.